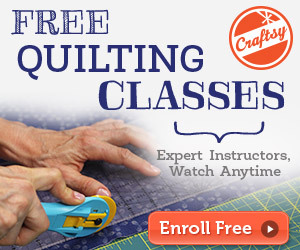 Whether you are dealing with the seriously frigid conditions of winter or simply want to have a break from your favorite sewing machine and take on a new quilting project, finding the best long arm quilting machines to use at home can be tough. This well reasonably priced long arm quilting machine offers an 18 inch open area, and the ability to sit down while using. This is fantastic, as many veteran quilters can attest, it can be quite taxing for you to stand for hours on end with your arms extended working on a project. The fact you can sit while using this machine and still have access to all of the wonderful features makes it a top notch contender in my book. The custom table offers you a collapsible table, so that no matter where you want to work you will have enough room to store the machine when you are done. It has a hinged side leaf that is 47 inches wide and 24 inches deep, so that you can open it for more room or keep it closed for less. Measurements are 30 inches high by 47 inches wide and a depth of 30 inches, allowing for the largest and smallest of projects to be completed with ease. The foot control variable speed setting allows for you to control the preciseness of your stitching. So you will be able to work with the machine instead of against it, to get uniform stitching based on your own speed and the machine’s assistance. The built in bobbin winder with the large bobbin lets you wind while you are working, so you will never be stuck with an empty bobbin. And using the M sized bobbin included allows for less time winding and more time quilting. The automatic needle positioner gives you the option of using foot controls to have your needle in the up or down position when stopped, as well as soft touch buttons so you no longer have to deal with broken or bent needles. This not only saves money in the long run on replacing needles, but it also saves your time. As any good quilter knows, bending or breaking a needle while working can cause tugs and pulls in the fabric, and can even cause you to scratch an entire portion of your work. Another great point is the flexible lamp: how many times have you had to stop working so that you were able to get a better look at the area you are working on? Using the flexible lamp, you can bend and move light to exactly the location and angle you need it most. Time saved, fingers saved and material saved. The self contained oil reservoir on this model allows you the peace of mind knowing that oil will not ever again be running down your needle, staining your work or even requiring your to oil the hook when you deal with your bobbin. Other features to keep in mind with this model are the 18 by 6 inch throat space, adjustable walk and height hopping feet and an open toe stippling foot. The standard foot allows for you to push your material through, and hopefully get no bunching. But with a walk foot, you can bind or make a rag quilt, match plaid fabrics or even piece with knits and slicker materials. The hopping foot lets you glide on edging of tools on all sides, which is very important for those doing completed edging crafts. And the toe stippling foot keeps your fabric flat and helps to avoid flagging while creating the design and stitch pattern of your choice. 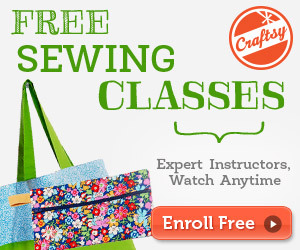 Overall, this machine offers everything you need as a beginner or a pro for free quilting. The Tin Lizzie offers one feature that I think most all quilters will really go for, and that is the self contained oil system. There is nothing worse than completing your job only to find that you have an oil stain on a very noticeable spot. And don’t forget the collapsible table on this model, as it makes set up and break down so much easier.Let me know what you ended up buying. I am sure you will find one that suits your likings. Or if you are still on the look out for the best long arm quilting machine review you may want to read my Juki TL-2200QVP Quilt Virtuoso Long Arm Quilting Machine post. How smooth is the sewing with this machine?